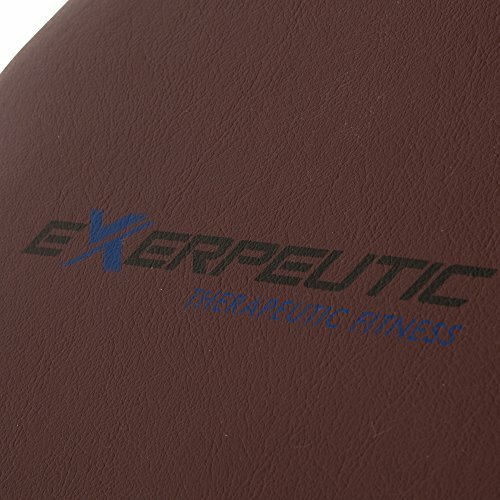 The Exerpeutic inversion table is one of the most basic inversion tables available from the Exerpeutic range. In fact is one of the most basic inversion tables available and one of the cheapest. 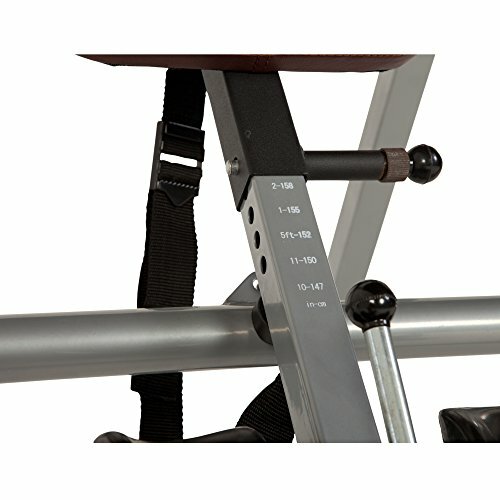 Due to its low price the Exerpeutic basic inversion table is a very popular choice, especially for those looking for an entry level inversion table. And despite this tables limited features it has some very good ratings from buyers. 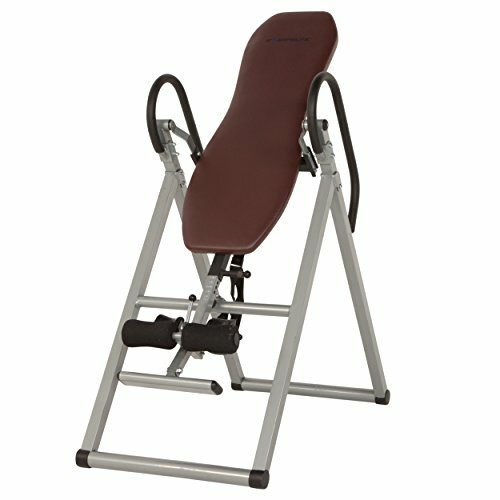 While this is probably not going to be an inversion table that is desired by everyone, beginners should find it good value and a good inversion table to start with. The padded backrest is the main standout feature on this entry level inversion table. As you would imagine due to the low price of this particular table the padding is hugely significant. However the 0.75 inches of padding does provide a little more comfort when inverting on this table. 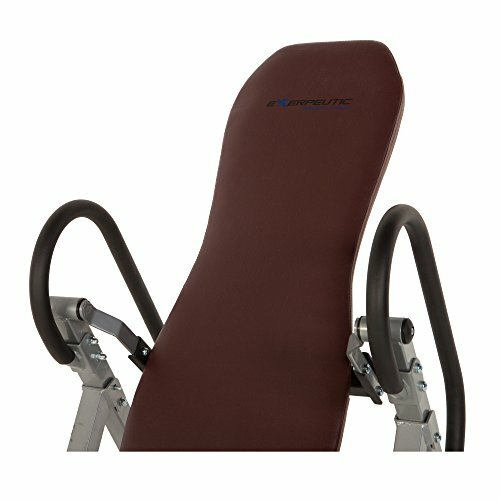 Also buyers of this Exerpeutic inversion table have no complaints either with many stating how comfortable it is to use. Mainly due to the thin layer of soft padding in the backrest. 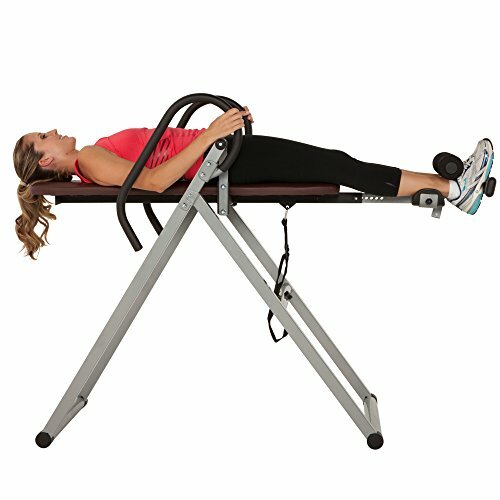 The ankle locking system on this inversion table is fairly standard as is to be expected with a table in this price range. There is no fancy ankle ratchet lever to use, just a simple spring pin bolt that securely holds your ankles in place. The ankle holders consist of foam rollers for the front of the ankles and molded plastic cup holders for the back of the legs. Since this inversion table features a tether strap angle limitation system, you can restrict the angle of inversion anywhere from the horizontal position through to the full inversion position. Although the tether strap system is one of the more primitive angle restriction features available on inversion tables. It is a very good system that even expensive Teeter inversion tables feature. 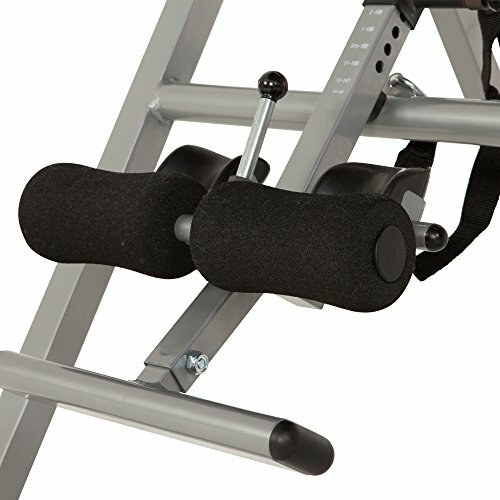 As you would expect from any inversion table aimed more at beginners, this inversion table has extra long side handles. These are useful for help when returning to an upright position and also when stabilizing yourself when inverting. 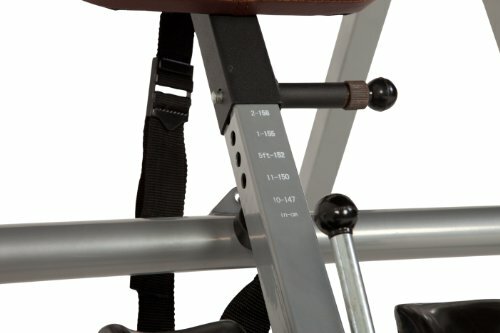 Is the Exerpeutic Inversion table a good choice? Considering this Exerpeutic inversion table is usually available for just over $100 it is excellent value for money. 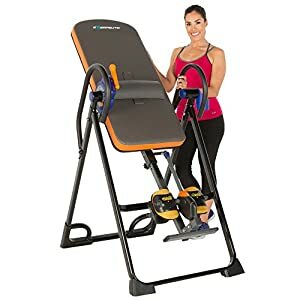 In addition to this, the positive reviews from numerous buyers also make this a great budget inversion table to consider. 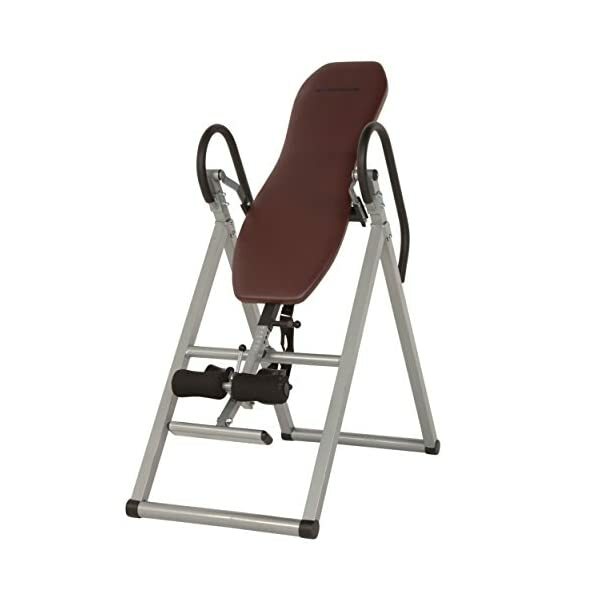 As you can see on our homepage, this Exerpeutic inversion table is one of our recommended cheap inversion tables and is a great option if you are looking to save cash. If you are fairly new to inversion, this table is a great choice. However, if you are fairly experienced with inversion tables this particular table is likely going to seem a little basic for your needs. From a personal point of view I would much rather spend the extra money and get a more advanced table. 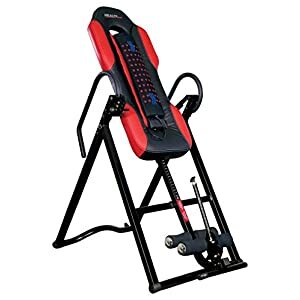 Overall if you are a beginner this is an excellent entry level inversion table that is one of the cheapest currently available.